Which City pass / discount card is Better/ Worth for you? Which City pass/ card is the Best? Making use of an attraction discount card is a great way to save money during your visit to a city. There is so much to see in most cities, and paying for each place can be complicated and expensive. We look here at some of the leading cities in the world and what discount cards are on offer in each. We have worked hard to understand all the options, and we bring you an unbiased guide to compare these. Different cards suit different people, and we detail which is the best choice depending on how you want to experience the city. We look at what attractions they cover, their costs and validity, and what extras are included, such as tours and transport. Travellers often get overwhelmed by the different choices and struggle to make the right choice. We guarantee you will find the one that works best for you, and not waste precious time during your trip trying to figure them all out! London pass / London Explorer pass / IVenture card is worth It? Paris pass / Paris museum pass / Passlib / Paris City passport is worth It? Amsterdam City Card / Holland Pass / Amsterdam Travel Tickets passes really worth the money? Barcelona Card / Barcelona Express Card / Barcelona City Pass/ IVenture Card/ Articket passes really worth the money? New York Explorer Pass/ New York Pass / CityPASS cards really worth the money? Roma Pass / Omnia Pass /Roma City Passes really worth the money? Madrid Card / Madrid Art Walk Pass / Madrid IVenture Card/ Toledo passes really worth the money? Berlin Welcome Card / Berlin Museum Pass / Get2Card Berlin City passes really worth the money? Milano Card / Milan Pass / Visitalia cards really worth the money? Venice City pass really worth the money? Frankfurt city pass really worth the money? Lisbon City passes/cards really worth the money? 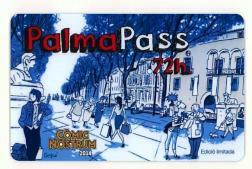 Palma City pass really worth the money? 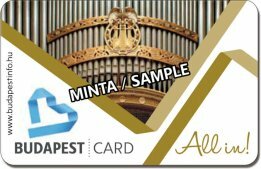 Budapest City passes/cards really worth the money? 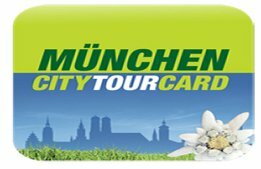 Munich City passes/cards really worth the money? 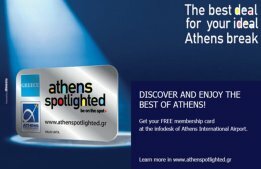 Athens City passes/cards really worth the money? Lille passes really worth the money? Vienna City passes/cards really worth the money? Malaga City passes/cards really worth the money? Tenerife City passes/cards really worth the money? Sydney Ultimate Pass/ Unlimited Pass/ Sydney Flexy Attraction passes really worth the money? London City passes really worth the money? London is a huge city than runs at a frantic pace. Its many attractions include the Houses of Parliament and Tower Bridge. It is sometimes easier to walk between some of them, though the Underground connects most other places tourists might want to go. Cost: £49-£108 (adult prices), valid for 1, 2, 3 or 6 days. The 6 day pass offers potential savings of over £400. What is it? : A customised pass to 3,5 or 7 attractions. Verdict: Good for those with limited time and knowing what they want to see. What is it? : A discount pass for the CityÃ¢â‚¬â„¢s main attractions, 1 up to 10 days. Verdict: You have flexibility to choose depending on the time available. Verdict: Flexibility to choose what you want to do and see makes this a good purchase. What is it? : A discount scheme linked to rail travel customers who must show evidence of their train journey. Cost: Free vouchers for those qualifying through their train journey cost. Verdict: Certainly worthwhile if you fulfil the conditions. Cost: Starting at £23, with a £5 for the card, repayable on its return. Verdict: A great way to save money for regular travellers. What is it? : A card offering 2 for 1 entry and discount at restaurants, shops, theatre and cinema. Cost: £19.95 for unlimited use in the year. Verdict: Good value for anyone spending significant time in London. What is it? : 20% discount at a small number of restaurants. Verdict: Something for nothing! Can't be bad! What is it? : A comprehensive travel package that can be bought in advance. Cost: Adult prices start at £8.90 and child prices at £3.60 with prices varying with length of validity and travel zones. Verdict: It's value depends on your travel needs. Paris City passes really worth the money? The River Seine flowing through Paris is an iconic river. Notre Dame, Louvre, the Champs-Elysees and the Eiffel Tower are known the world over but Paris has much more, by day and night. There is much to see and do that a weekend would hardly scratch the surface. What is it? : A free attractions card including hop on hop off tour with free metro travel and restaurant discounts. Cost: Valid for a year with prices ranging from € 40 to €210 depending on days purchased and age of buyers. Verdict: This Pass scores on convenience alone taking away the need to buy individual tickets at each attraction. Cost: €39 for 2 days is the cheapest available. Verdict: Unless you are going to spend plenty of time visiting museums, this is of dubious value though you will avoid the queues. Cost: From €40 with a 5 day adult pass €155. Verdict: A good way to help you plan your visit with all the main attractions available. What is it? : A discount pass for the main highlights and much more for up to 6 days. Cost: From €99 for 2 days. Verdict: A way to beat the queues in this busy city as well as enjoy the River Seine. What is it? : Discount travel on metro, RER and train around Paris and its suburbs. Cost: € 5 purchase price and then money loaded to pay for actual journeys at a discount rate, valid on a weekly basis. Different zones cost amounts varying from €19.90 in 1 and 2 to €34.40 for journeys to the airports. Verdict: A convenient way to travel with savings for those not staying in the centre of Paris. Cost: Adults €26 for a day, €31 for 2 days. Children €15. Verdict: An excellent way to get around all the highlights of Paris, either as an initial introduction or because time is tight. What is it? : A discount card for over 1,500 restaurants in Paris. Verdict: Excellent vale because of the number of restaurants in the scheme. What is it? : Unlimited bus and metro travel, zones 1 - 5. Cost: $8.44 to $98depending upon length of validity and zones required. Verdict: Its value is dependent upon how much travelling you expect to do. New York City passes really worth the money? There is so much to see and do in New York that it is difficult to know where to start. In Manhattan alone, there is the Empire State building, wonderful museums and galleries as well as Central Park. There are excellent views of the Statue of Liberty from the tip as well. What is it? : Access to 6 top attractions of your choice. Cost: $109 for adults, $82 for youths and valid for 9 days. Verdict: The flexibility afforded by this Pass makes it a good buy for any visitor to New York. What is it? : A pre-loaded card with 56 attractions included for visits as and when you wish. Cost: $79.99 for 3 attractions, $209.99 for 10, valid for 30 days. Verdict: This is an extremely flexible card that allows you to change plans at the last minute at no further cost. What is it? : A card providing unlimited access to New York's many highlights. Cost: $85 a day, $230 for the week with prices in between for varying lengths of time. Verdict: You can purchase online in advance of your trip and you can enjoy as many New York attractions as you can fit into your time. Once you begin, the validity is for consecutive days. What is it? : A card that provides discount at participating restaurants. Cost: $19.99 and valid for 30 days. Verdict: You certainly can't lose by having this card during your time in the City, even if you only have a single meal or two. It is available online, allowing you to really plan your itinerary. What is it? : A discount travel card that you can load with money to suit your travel needs in New York. Cost: $30 for 7 days, and 30 day cards can be obtained. Verdict: Widely available, if you intend to travel throughout New York, this is the way to do it. What is it? : A flexible pass allowing you to visit whichever attractions appeal to you. Cost: The cost is based upon your selections but savings are guaranteed. Verdict: Flexibility is the key to this Pass which is valid for 30 days after first use. What is it? : A card offering discounts in 52 bars and restaurants within the City. Cost: $20 and valid in the current calendar year. Verdict: This card is an excellent way to keep control of your budget in a city that can be expensive. Verdict: You need only use it 3 times to get your money back. Amsterdam City passes really worth the money? Amsterdam is a fascinating city where it is likely that you will confront crowds wanting to visit the major attractions and museums. The obvious way to be able to avoid the crowds and make the best use of your time is to buy passes or cards that best suit your interests. The Red Light District is a tourist attraction, as are the many canals and museums like the Van Gogh. What is it? :This card offers free entry to all the major city attractions and museums. Verdict:When linked with the Amsterdam Regional Ticket at €10, tourists can take public transport wherever they go. What is it? :You need not queue at the Rijksmuseum or the Van Gogh Museum as well as take complimentary canal cruise. Verdict:You are effectively getting 20% discount on all the places you visit as well as avoiding the queues. What is it? :This card allows free entry to major attractions and museums in Amsterdam and surrounding cities. Verdict:There are large discounts on tourist attractions as well as restaurants, cafes, shops and transport. A single purchase provides access to a comprehensive list of Holland's tourist attractions and services. Cost:€7.50 per day; €32 for 7 days. Verdict:They are not available online but are throughout Amsterdam. However, they are most convenient for travelling extensively in Amsterdam. What is it? :A "must have" card for all museum addicts offering access to over 400 museums. Cost:€4.95 for registration and €49.95 for the card valid for 12 months. Verdict:A definite purchase for anyone intending to be a regular visitor to national museums. What is it? :A card for unlimited transport within Amsterdam and surrounding areas for 24 hours. Verdict:It is not valid for Lelystad bus lines or NS trains. Madrid City passes really worth the money? Spain's capital is full of history. Apart from the many stunning buildings such as the Royal Palace, there is the Plaza Mayor and some of the best museums anywhere in Europe, if not the world. Art is central to Madrid and art lovers will find it difficult to see everything if they have just a few days. What is it? :A card which opens up Madrid by offering free admission to attractions and excellent discounts on restaurants. Cost:€45-75, valid for 24, 48, 72 or 120 hours. Verdict:An easy way to enjoy Spain's capital at a reasonable price. Cost: €24.89 and valid for 6 months. Verdict:Ideal for art lovers who spend time in Madrid. Verdict: Flexible in terms of what you can see and one way to help you plan. What is it? : A card offering rail travel and Toledo sights. Verdict: Depends if you want to travel further afield. What is it? :Free public transport around the city. Cost:€8.40-70.80, valid for 1 day up to a week. Verdict:A convenient pass to help you get around Madrid. Milan City passes really worth the money? Milan is one of the most fashionable cities in the world and tourists often travel there to look at the latest trends. There is much more to Milan than fashion and the city makes it easy for travellers to enjoy the many highlights by offering a range of cards. Duomo di Milano and La Scala Opera House are just two of many highlights in the city. Cost:€7, 13, 19 for 1,2, or 3 days. Verdict:Savings on getting around and enjoying Milan at minimal cost. What is it? :A Pass to use the Hop On Hop Off service as an introduction to the City. Cost:€17 per person, children free. Verdict:A great way to see the highlights and get your bearings within the city. Ideal when used in conjunction with the Milano Card. What is it? : A discount card for attractions, transport, shops and restaurants. Cost: €8 - 13, 1 to 3 days. Verdict: A comprehensive card offering all you need to enjoy Milan. What is it? :Discount Card for attractions with free travel. Cost:€6.50 a day, €13 for 3 days. Verdict:It offers discounts throughout the city, as well as medical assistance if required. A very good deal. Cost:€4 and valid for 4 years with accompanying children travelling free. Verdict:A very convenient travel card, especially for those with children. Verdict:A worthwhile card for those loving theatre and cinema with regular special offers thrown in. Barcelona City passes really worth the money? Barcelona is famous for many things with its soccer side playing at the Nou Camp a major attraction in itself. The architect Gaudi has a number of buildings worth seeing, none more so that the Cathedral that was begun in the 19th Century and still isn't finished. What is it? :A card that can save a considerable amount of money if you intend to explore the City with free unlimited travel, free entry to museums and savings on tours, shopping and nightlife. Cost:€34-58 and valid for up to 5 days on activation. Verdict:Undoubtedly a card to have when visiting Barcelona, and there is a 15% discount for buying online. Verdict: A good way to plan your trip as well as avoid the crowds. Cost: €85 for 3 attractions; €135 for 5 for adults, €65 and €90 the respective child costs. Unlimited attractions also available. Verdict: A way to beat the crowds but not always value for money unless you are certain of your plans. What is it? : A travel and discount card, valid for 48 hours, covering attractions, restaurants and nightlife. Verdict: Excellent travel discounts because it includes airport transfers and plenty of alternatives during your time in Barcelona. What is it? :An unlimited free travel card. Cost:€14-30.50, valid for up to 5 days from validation. Verdict:10% discount when bought online, and valuable if you intend to move around a great deal. What is it? :A pass allowing discounted access to Barcelona's archaeological museums. Verdict:A must for museum addicts. What is it? :A pass giving discount to Barcelona's top museums. Verdict:Valuable to those who have a passion for museums. What is it? :10% discount in over 100 tapas bars, restaurants etc. Verdict:Print out online and present it; no problem. What is it? :A card permitting up to 10 journeys at half price. Cost:The cost varies by zone and ranges between €10.30 and 43.55 with validity up to 5 days. You should check the exact details if you are planning routes while in the City. Verdict:Available at metro stations and useful for those with travel plans in mind. Rome City passes really worth the money? Rome is a stunning city with so much history relating to the Ancient Empire, including the Colosseum and of course, Vatican City and St. Peter's. Vast numbers visit Rome with even plenty of tourists throughout the winter. There are crowds but the rewards are worth it. What is it? : A Pass offering free access to two of Rome's highlights, as well as discounts for many others with free transport thrown in for 3 days. Verdict: This card helps tourists to plan their itineraries around Rome, though many of its highlights are fairly close together so transport may not be required too frequently. Cost: €90 for 3 days. Verdict: The fast track entrance to the Vatican is probably the major benefit of this Pass because the queues can be very long. What is it? : A restaurant discount card. Cost: €20 valid for 2 people for 10 days. Verdict: Rome is an expensive city with fine restaurants. Anything that offers discount on bills is surely worth obtaining? What is it? : A card providing free public transport excluding links to the airport. Cost: € 16.50 for 3 days. Verdict: It's worth depends upon how much travelling you intend to do. Many attractions are within walking distance of each other. What is it? : A restaurant discount card for a wide range of places throughout Rome. Verdict: A card that allows you to get discount throughout the day in cafes and restaurants for such a small sum is excellent value. What is it? : A card providing free public transport throughout Rome. Cost: €24 for 7 days. Verdict: Value for money if you are in Rome for a few days and intend to travel around outside the compact centre. What is it? : A card for archaeological enthusiast offering free access to 10 attractions. Cost: €28 for 7 days. Verdict: Excellent value if you are in Rome long enough to see its top attractions. Berlin City passes really worth the money? The best way to see what Berlin has to offer is to get a card that offers savings on the major attractions, travel within the heart of the city and discounts on some of its excellent restaurants. The famous Berlin Wall is long gone but there are remnants of the past still well in evidence. Cost:€18.50-40.50, for various periods; 24 hours, 48 hours or 5 days. Verdict:This card is all a tourist needs to get the best out of Berlin. What is it? 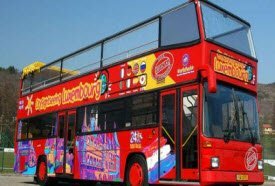 :A card providing a hop on hop off bus tour, free entry to various attractions and free travel within zones A, B and C.
Cost:€74 (2 day adult pass), €34 (2 day child pass), €89 (3 day adult pass), €39 (3 day child pass). Verdict:A flexible card to make seeing Berlin much easier. Cost:€16.90-35.90, for 24 hours, 2 or 5 days within Zones AB (Central Berlin) or Zones ABC (including Greater Berlin area). Verdict:A convenient card for seeing the city and its major attractions. What is it? : 2 for 1 offers card for between 3 and 7 days covering a host of attractions and activities. Cost: €18.70 - €28.70 for 3 to 7 days. An annual card is €66. Verdict: An excellent range of inclusions makes this a valuable card. What is it? : A Pass proving access to 30 exhibitions and museums. Cost: €29 but often discounted itself and valid for 3 days. Verdict: A must have card for anyone interested in visiting museums in Berlin. Florence City passes really worth the money? The advantage of a card is avoiding the queues in one of Italy's most iconic cities. The museums and galleries are especially stunning so everyone wants to see the most popular ones. Florence was central to the Renaissance and it is art that regularly draws visitors to the City. What is it? :A card facilitating entry to museums, gardens and monuments. Verdict:A convenient way to avoid the queues when visiting Florence. What is it? : A prepaid way to gain entry to many of FlorenceÃ¢â‚¬â„¢s attractions. Verdict: A good way to avoid the queues that gather at many of the top attractions but not cheap. What is it? :A fixed cost bus travel card for various lengths of time. Cost:24 hours costs €5, 3 days costs €12 and 7 days €18. Verdict:Plan your routes by bus and buy this value for money card. What is it? :A card that means you avoid the queues at Florence's main attractions; museums, gardens and villas. Cost:Valid for the remainder of the calendar year. Under 26 years of age € 40, family tickets for 2 children and 2 adults € 100 and individuals € 60. Verdict:The value varies depending on the time of year you visit. Frankfurt City passes really worth the money? Frankfurt has become a popular city with tourists and the range of cards now available reflects that popularity. If you get a card offering discounts on the many attractions and on travelling all you need to do is plan what you really want to see. It is famous for its museums while the Opera House and the Old Town Centre will be on everyone's list to places to visit. What is it? :A card providing free public transport and huge discounts on the city's attractions, as well as restaurants, shopping and theatre. Cost:€9.90 for a day, €14.50 for 2 days and special prices for groups of 5. Verdict:The best way to see Frankfurt, this card can be bought at several stations in the City. What is it? : A discount card for many activities and free public transport. Verdict: Certainly value for money if you are travelling with family or friends. What is it? :A card offering discounts to restaurants, clubs and parties as well as a range of tours and attractions. Cost:Just €5 euros for the year. Verdict:For such a cost, you really can't go wrong. What is it? :A card for a 14 hop on hop off bus tour, running every 30 minutes around the city's highlights. Cost:$21.29 for the day; $ 11.36 for children, valid for a day. Verdict:The best way to conveniently see all Frankfurt's highlights. What is it? : A 1 hour tour card allowing exit and egress throughout the day. Verdict:Spend time at the attractions you like, then hop on again. What is it? :A ticket providing discount entry to the City's museums. Cost:€18 with a family ticket just €10 more. Verdict:The best way to avoid queuing if you intend to visit several museums. What is it? :A travel card for cheap travel around Frankfurt, and at certain times, free travel. Cost:Varies with the zones in which you want to travel. Verdict:The best way to save money when travelling. Venice City passes really worth the money? Venice is a unique city but you have to be prepared for crowds. Cards help ease the potential problems of queues. Whether your interest is St. Marks' Square, the churches or a ride on a gondola, you should plan ahead. What is it? :A card providing access to the Churches of Venice. Verdict:The best way to see Venetian Churches and available online. What is it? :Entry to 16 museums in Venice. Cost:€ 24 adults and € 18 for those under 25 and over 65, valid for six months. Verdict:If your interest is the City's museums, this is certainly the cheapest way to visit them. What is it? :A card for entry to the main attractions and discounts for restaurants, shops etc. Cost:€29.90 for those under 30 and €39.90 for everyone else; validity is 7 days. Verdict:Good value if you are spending time in Venice and want to enjoy all it has to offer. Verdict:Aimed at the younger tourists, a good service at an insignificant cost. What is it? :Free travel on all Alilaguna Lines. Cost:€30 per day but only €65 for 3 days. Verdict:Good value if you are intending to travel extensively; to the islands or airport especially. Cost:12 hours for €18, 2 days costs €30 and 7 days €50. Verdict:Useful if you are moving around Venice a great deal. Vienna City passes really worth the money? What is it? : This card can be used throughout the city for its main attractions, transport and discounts in theatres, shops and restaurants. Cost: €19.90 and is valid for 72 hours. Verdict: The Card makes it very easy for a tourist to enjoy what the City has to offer and it can be purchased online in advance to help with planning and budgeting. What is it? : Free entry card to over 60 city attractions and a hop on hop off tour. Cost: €59 - 124 for 1 to 6 days for adults, €29.50 - 62 for children. Verdict: The convenient way to avoid queuing at the main attractions. What is it? : This is a flexible travel card for use over 8 days in total but that can be 2 people over 4 days. Verdict: A particularly useful card for getting around in Vienna with flexibility being an additional benefit. What is it? : Unlimited travel card on Vienna public transport. Cost: 24 hour costs €7.10, 48 hours €12.40 and the 72 hours €15.40. Verdict: Considerable savings can be made by buying a travel card before setting out to explore Vienna. Sydney City passes really worth the money? Sydney is a vibrant city offering great beaches, nightlife and such iconic attractions as the Harbour Bridge and the Opera House. Visitors will never be short of things to do in Sydney and the city offers plenty of opportunity for tourists to take advantage of the promotions it provides. What is it? : This pass gives free entry to a varying number of attractions depending on what you want. Cost: 3 attractions are AUD99, 5 AUD 149 and 7 AUD 199. The card remains valid for 3 months. Verdict: Flexibility both in terms of what you want to see and the timescale in which you do it are certainly benefits of this Pass. What is it? : If you can cram in 20 attractions while you are in Sydney, this is the Pass for you. Cost: 2 days is AUD 229 and 7 is AUD 359 with transport costs included. Verdict: If you want to see as much of Sydney as possible, this is certainly value for money for any tourists. What is it? : This is a very practical ticket which covers all your travel costs in Sydney and the surrounding area. Cost: A single day costs AUD 23, and there are 7-day tickets that vary in price from AUD 46 TO 63 depending on your route. Verdict: This ticket is most convenient by the day to get around, though you will need to plan in order to get a suitable 7-day ticket. What is it? : A 5 attraction pass including a 4 hour pass in search of whales. Cost: AUD 95 for children and 150 for adults, the pass is valid for 3 months. Verdict: The opportunity to see a whale does not come often for most people and having that as one of 5 different attractions should certainly appeal to many people. Munich City passes really worth the money? When you visit Munich, there is a great deal to see and do. You may need to do some planning before you go, and one thing to investigate is whether there are discounts in Munich and how to obtain them. Hofbrauhaus is a 16th Century beer hall and the Oktober Festival is certainly something to enjoy if you are there at that time of year. What is it? : This card covers most of the highlights of Munich and the surrounding area, as well as providing unlimited travel with some zonal restrictions. Cost: €10.90-69.90 with validity for anything from 1 to 4 days. There are variations based on zones and group sizes where required. Verdict: The only card around if you are in Munich so take advantage. Budapest City passes really worth the money? Budapest is a fine city built either side of the Danube. There are attractions on both sides of the river with the impressive Parliament building on the banks of the Pest side with Buda old town looking down and across the Danube towards it. What is it? :A card giving access to a host of attractions as well as a hop on hop off bus tour and restaurant discounts. Verdict:The ideal way to get to know Budapest by taking the bus tour and spending time at personal highlights. What is it? :A discount restaurant card offering between 30% and 50% off. Cost:11,900-59,9000 Forint, valid from 3 months to a year for either 2 or 4 people. Verdict:If you like dining out, it's a card for you. Athens City passes really worth the money? Athens is one of the real historical jewels of the world. The City welcomes tourists and seeks to make its attractions readily accessible to all visitors. The Parthenon seems to dominate the skyline, one of many landmarks tourists should visit. What is it? :Designed specifically for tourists, it provides discounts on attractions as well as shops, theatres and museums. Cost:Free of charge for 10 days. Verdict:Available for collection at the Airport, you can present it for discount all over the city. What is it? :Unlimited travel within Athens of varying duration. Cost:€4 for 24 hours with 3 and 7 day tickets available as well. Verdict:They can be bought at stations throughout Athens and offer savings if you intend to travel around. Both of Athens' cards are designed to assist tourists both to get around the City and then to see the major attractions, while also providing discounts in its many restaurants. All travellers should collect them on arrival. Malaga City passes really worth the money? The South of Spain attracts holidaymakers who want guaranteed sunshine for their main annual holiday and fairly warm weather if it is cold at home, as Northern Europe tends to be for several months. The appeal is plentiful accommodation and beaches with a developed infrastructure to cater for the numbers. What is it? 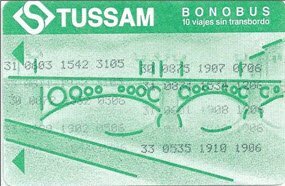 : This is an all-encompassing card offering discounts citywide, fresh bus transport and entry to Malaga's main attractions. Cost: €35 with various time periods from 1 to 7 days. Verdict: This single card is probably all a tourist would need to properly enjoy time in Malaga. What is it? : This tour with audio is a great introduction to Malaga. Cost: €18 for adults, €12 for children for an 80-minute tour. Valid for a day. Verdict: If you are not familiar with Malaga, this is a great way to find out more. What is it? : A restaurant discount card allowing you to enjoy the wide range of cuisine in the city. Verdict: If you intend to dine out throughout your holiday time in Malaga, this card will certainly save you money because on average you will save 20%. Cost: $218 to $557 for terms between 3 and 10 days. Verdict: Whether this is a worthwhile purchase depends entirely on your travel plans. What is it? : This Pass allows for up to 12 journeys in a month. Cost: €392 for 12 journeys, €163 for 4 journeys. Verdict: This is of value to regular train travellers and you need to look at your plans if you are considering getting one. A first-time visitor to Lille need not worry about how to get around and see its many attractions. The cards on offer make that a very easy task. It was an important merchant town and the old city with its cobbled streets remain a major attraction today. What is it? :The Pass provides free entry to many of Lille's attraction, free transport and discount at shops and restaurants. Verdict:The Card provides all a visitor needs to enjoy Lille. What is it? :Restaurant Discount Card; up to 30% off. Cost:Price varies with the restaurants requested. Verdict:It is important to judge the price charged against the benefits being given. What is it? :A card that provides a chance to view Lille's highlights. Cost:€11.50 for the 2-hour tour. Verdict: Worthwhile if you have limited time and the City Pass is not needed. Verdict:A cheap way to get around for the day if you intend to take several journeys. What is it? :Free rail travel for 24 hours. Verdict:A convenient way for families to travel in a day. Lisbon City passes really worth the money? Sao George Castle is a dominant feature in Portugal's capital. It is a coastal city from which many explorers sailed centuries ago. The impressive suspension bridge is photographed by every visitor while the old town and its pastel-coloured buildings make Lisbon a little different from many modern-day capitals. What is it? : The main attractions of Lisbon are covered in this tour of the city. Verdict: This is a great way to familiarise yourself with Lisbon before going on to explore independently. What is it? 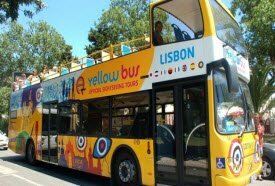 :Free entry to most of Lisbon's attractions with free public transport included. Cost: Adults €18.5, 31.50 and 39 for 1,2 or 3 days and children €11.50, 17.50 and 20.50. Verdict: The ideal way to get to know Lisbon either individually or as a family. Cost: €22.50 for adults with children free. Verdict: Ideal if you have limited time and want at least to see the main attractions. What is it? :Restaurant discount card across a range of places in Lisbon. Verdict: A saving if you intend to dine out each day. What is it? : Free metro travel for 24 hours. Verdict: There is a comprehensive metro system and if you want to get around, buy the Pass. What is it? : Free bus and tram travel. Cost: €3.30 per day, €13.20 for 5 days. Verdict: Good value if you have plenty of travelling planned. Palma City passes really worth the money? The Gothic Santa Maria Cathedral dating back to the 13th Century is the main landmark on the island of Majorca. Tourists visit for the climate but there are still some things worth taking the time to see. When you visit Palma, the best way to stretch your money is to take advantage of a recently introduced pass that has several advantages, not least free airport transfers. What is it? : This pass offers free entry to major attractions, some bus travel and discounts in shops and restaurants. Cost: €34 for 2 days, or 41€41 for 3. Verdict: Free airport transfers and other bus travel means this is good value, especially if you want to travel elsewhere and do some shopping. Tenerife City passes really worth the money? Tenerife is a holiday island worth exploring. An all-year holiday destination, there is no need for locals to worry about a limited season. If you spend time there, you ought to look for the discounts available, and there are many available on these two cards. Cost: €12 or 30 depending on requirements up to 18 journeys. Verdict: A useful card for getting around. Verdict: A card that everyone should have in their wallets if spending time in Tenerife. Tourists do not always get a good deal everywhere they travel. If you have discount cards in your wallet, you can save money on your holiday.